We run a variety of clinics and training courses throughout the year. 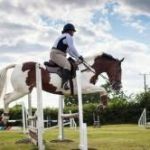 During the year we will normally be holding our Show Jumping Clinics at Felbridge Showground. Our Cross Country clinics will now be on our new Cross Country course at Bucklands Farm or at Coombelands when it is not available. 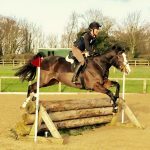 Dressage training is normally with Robbie Carpenter at Belmoredean, but we also have Flat Work training at Bucklands Farm with other trainers. 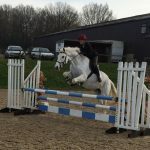 For 2019 we have added Arena Eventing which will either be at Pyecombe or Coombelands. 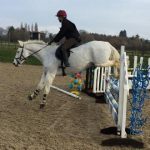 To book an Ardingly Riding Club organised event you can now book and pay for the clinic or training online. Your place will not be reserved if you have not paid in advance of the clinic or training you wish to attend. Payment is via PayPal, but you do not need to have a PayPal account to pay by PayPal; they accept payments by Credit Card if you press Check Out, rather than Check Out with PayPal. Refunds for clinics or training will only be given if a replacement participant can be found and only then at the discretion of the club officials. A 2.5% deduction will also be taken to cover PayPal charges and administration. 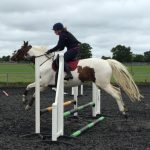 If you wish to book an Area 13 or BHS West Sussex Clinic or Training you need to contact the organiser from Area 13 or BHS West Sussex as soon as the clinic is posted on this page, since places are limited and are filled very quickly. Do not contact ARC in respect to these clinics and training. Clinics and training are on going, so please keep checking this page for new ones that have been added. Venue: Bucklands Farm, Brantridge Lane, RH17 6JT. 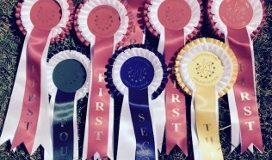 Show Jumping: ARC Members £30, Non-Members £35. Cross Country: ARC Members £40, Non-Members £45. 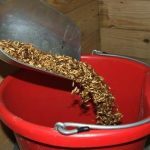 All horses must have an up to date Flu Vaccination. Book & Pay for this clinic here. 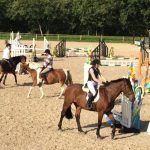 Show Jumping: ARC Members £25, Non-Members £30. Cross Country: ARC Members £35, Non-Members £40. Cost: Members £25, (subsidised), Non-Members £30. Venue: Coombelands, Pullborough, RH20 1BQ. Cost: ARC Members £45. Non-Members £50. 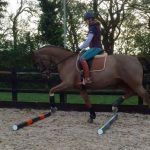 Clinics & Training you might have missed in this ARC riding year! (Groups of 3 for 1 hour). Venue: Felbridge Showground, RH19 2NU. Cost: ARC Members £25. Non-Members £30. (Groups of 3 – 1 hour lesson). Trainer: Sam Jennings, UKCC Level 2. Members £30, (subsidised), Non-Members £35. Members £40, (subsidised), Non-Members £50. Venue: Starnash Farm, Upper Dicker, BN27 3PY. 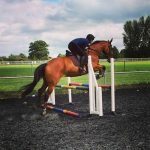 This clinic will concentrate on getting the show jumping canter and keeping it through the turns. Venue: Brendon Stud, Pyecombe, BN45 7ED. Cost: ARC Members £33. Non-Members £38. (Groups of 4 max. – 1 hour lesson). Time: 10:00 a.m. – 12:00 noon. 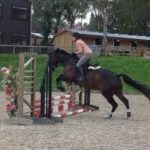 Trainer: Heidi Reed- BHS Stage 5 Performance Coach in Complete Horsemanship, UKCC Level 3 Generic. Cost: £20 for 1 hour lesson.